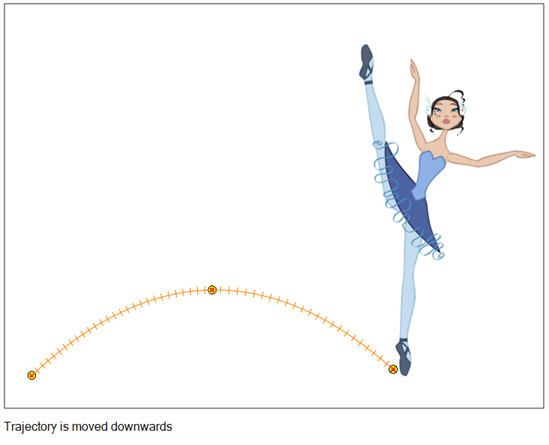 By offsetting a trajectory, you reposition the visual trajectory without offsetting or modifying your animation. By default, the trajectory is located at 0,0,0 fields. 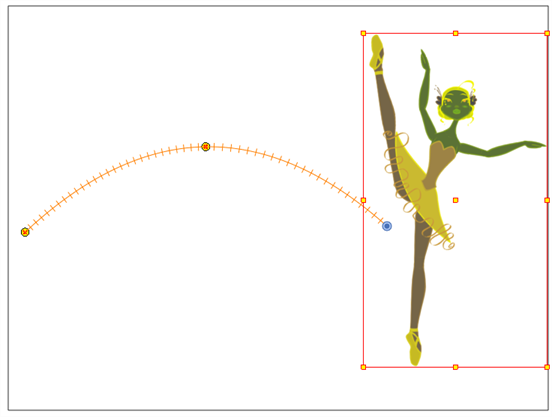 If your elements were drawn in a different location than the centre of the drawing area, it will look like the trajectory is not aligned with your drawing. Also, if you have several elements attached to one trajectory, you might want your trajectory to be at a different location to represent the group's motion better. In the Animation Tools toolbar, select the Spline Offset tool or press Alt + 8. In the Camera, Top, Side or Timeline view, select the layer whose trajectory you want to offset. From the top menu, select View > Show > Control to display the trajectory. If you do not display the trajectory, any transformation done using the Spline Offset tool will be ignored. In the Camera view, drag the trajectory to the proper position. You can move it on the X and Y axes, but also on the Z-axis using the Top and Side views.